I’m stuck in a hospital ward with 53 other people, all laying on pristine white sheets in the broad daylight, their bare feet sticking out of the ends of the beds. I am trapped. Trapped amongst their smells and snores and stares. The matron has locked the doors so that I can’t get out. I wonder if I will go insane here. This hospital ward is also known as the Trans-Siberian Railway. 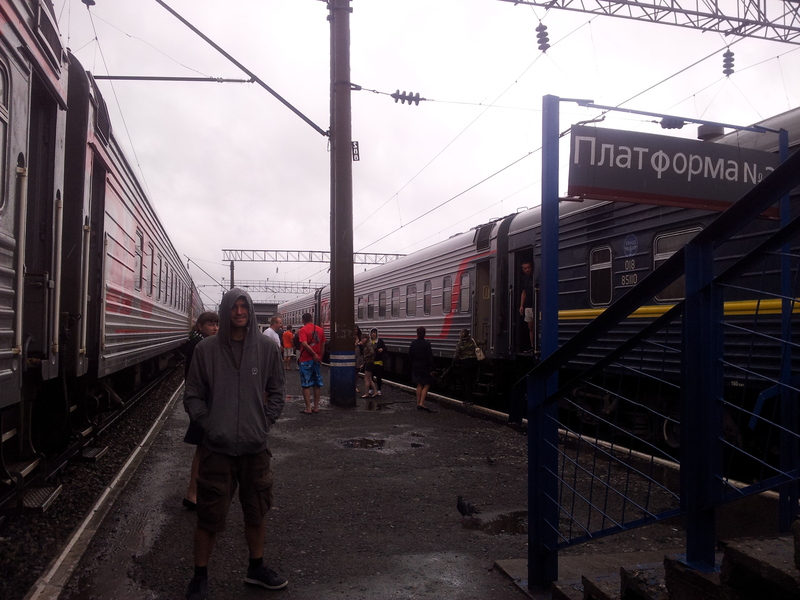 We are travelling in 3rd class from Moscow and we’re on our first leg, travelling to a random Russian city called Omsk, 41 hours and 2716km from the Russian capital. 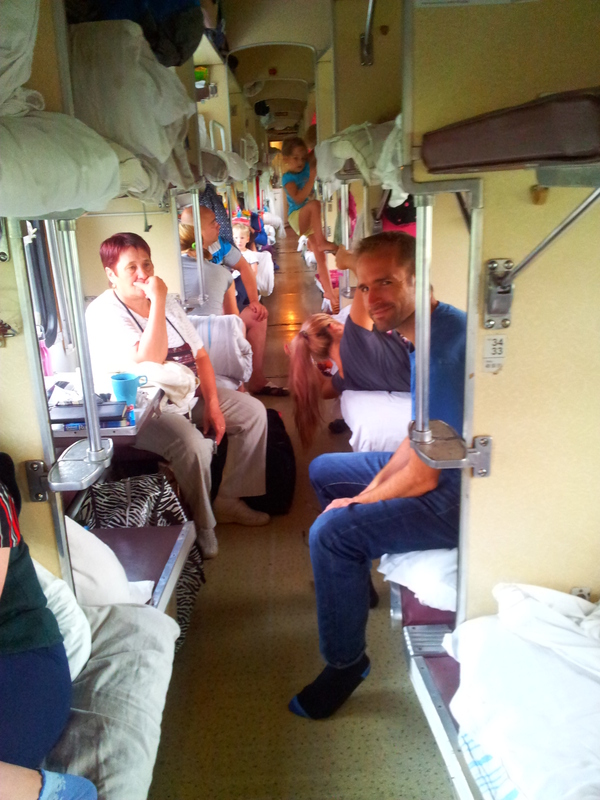 “I’d LOVE to do the Trans-Siberian!” was the response we got from absolutely everyone when we told them of our plans. People seem to have a romantic vision of this journey. Luckily I didn’t, or I would have been bitterly disappointed! The Trans-Siberian is the collective name for various routes traversing Russia, Mongolia and China. Most tourists break up their journey and visit various Russian cities. The trains are just part of the usual Russian railway system and most passengers are Russians travelling for work, or visiting family and friends. If you’re in 1st or 2nd class then you get your own private compartment, but we are not paying out for such a luxury – we want the authentic experience – and we share a space in close, stuffy proximity to strangers who stare coldly at us. Smoking is not allowed, but people lock themselves between carriages and addictedly drag on their cigarettes. I laugh at their cheekiness, catching people’s eyes in the hope that it’ll break the ice and that they’ll also laugh with me. I get cold stares back. We have a constant urn of boiling water and our fellow passengers survive on instant pot noodles and stinking sausage. 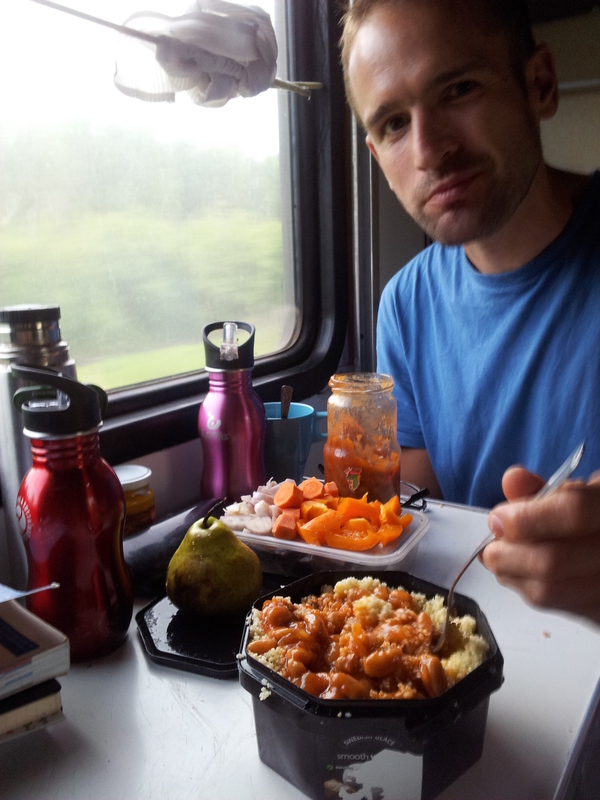 Our lunch: more inventive than the Pot Noodle. Unlike the trains in India, you can’t hang out of the windows or doors to get fresh air. In fact, the windows only open a couple of inches. It’s summer time and stiflingly hot. The matron turns the lights out at 11pm on the dot, and suddenly we’re thrown into darkness and being told to be quiet. My first night’s sleep is deep and peaceful (everyone is really courteous on this first train). When I wake, we have travelled 1,500km, which is as far east as Afghanistan. 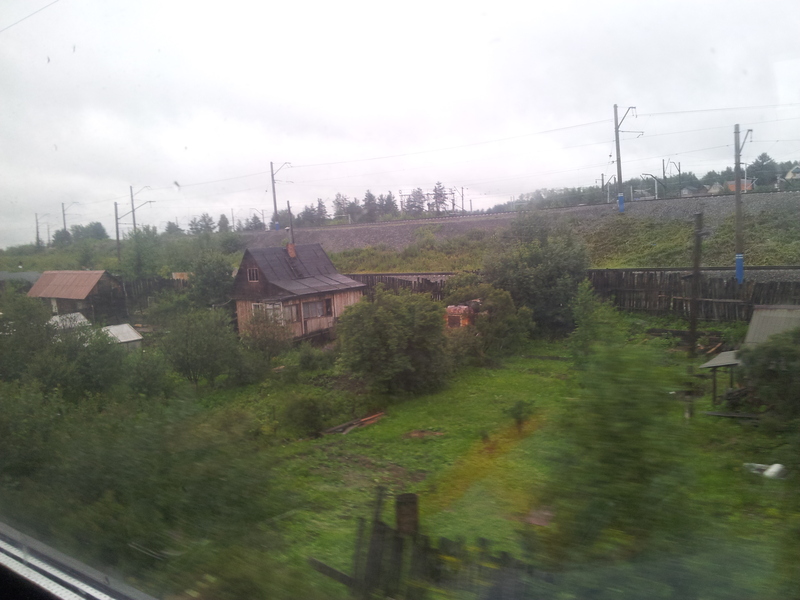 The thick forest of pine and birch trees, which will be our landscape for most of the Trans-Siberian, is a deep green. We pass small villages of wooden houses with HUGE vegetable patches. Freight train after freight train chug past. We’re finally allowed to get off the train for a break at lunchtime of Day Two in the freezing cold and heavy rain. Break time! Our first fresh air in 24 hours. 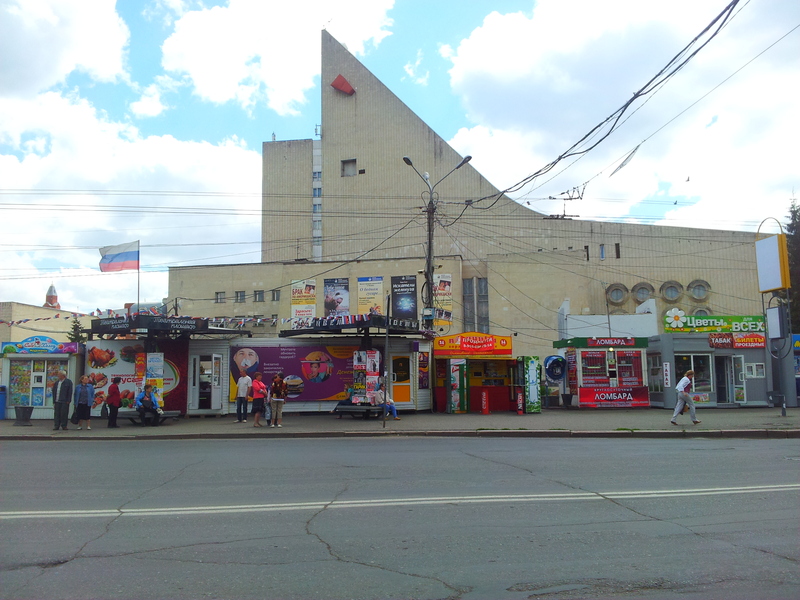 After two days and two nights, we arrive in the city of Omsk, which is as magical as it sounds. Just before leaving the train I have an argument with the matron about the number of bedsheets I have returned to her. Does she really think that I have stuffed one in my rucksack? The only exciting thing about Omsk is some anarchist graffiti (to counteract Nazi graffiti), suggesting that there are like-minded people somewhere. 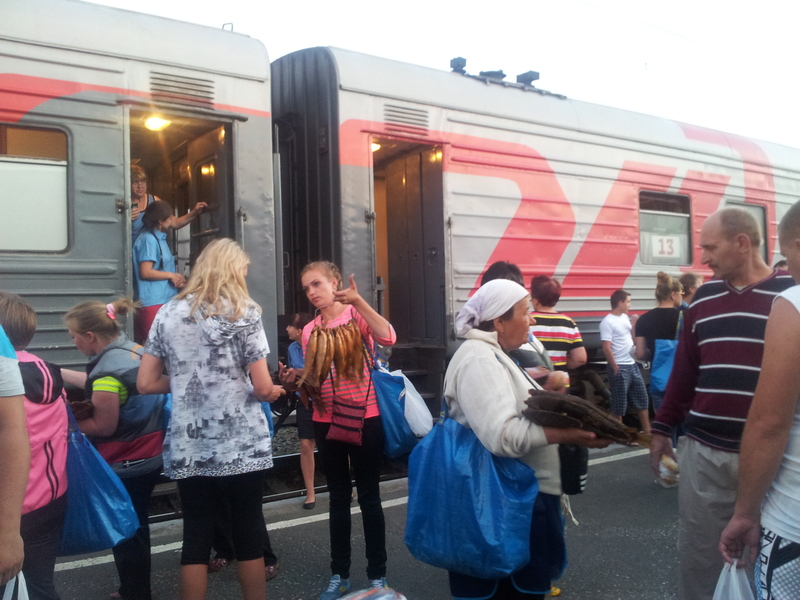 The train from Omsk is, indeed, filled with kids who play-fight and climb all over the bunks. There’s even a puppy onboard, chewing everything he can find. Unlike our first train, people are loud throughout the night and I don’t get a wink of sleep. Fish sellers on the platform of Barabinsk, Siberia..the halfway point between Moscow and Beijing. At 3,932km from Moscow, we pass the halfway point between the capital and Beijing. 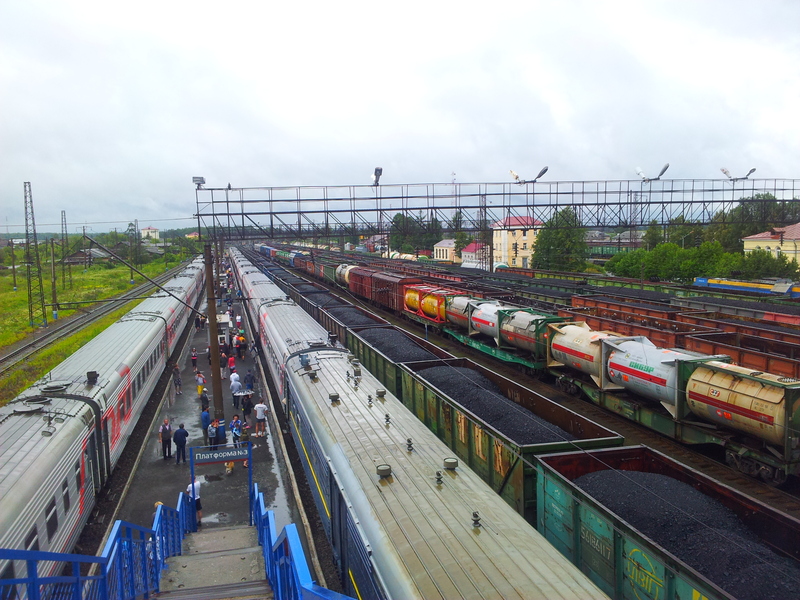 The first two trains through Russia are difficult for me, mostly because I don’t understand the culture at all. Usually, when I am in a country where I don’t know the language, I communicate with lots of smiling. In Russia, I feel that this way of bonding with people has been stolen from me because no-one smiles. I am always met with cold stares and a turning away of the head. This happens about 50 times a day, and I feel constantly upset! Why oh why didn’t I make the effort to learn Russian before starting this trip? So far, there’s been no awe-inspiring scenery changes and definitely no wistful feeling of being deep in the Siberian wilderness. In Armenia it wasn’t the same…i felt that people there were still very warm, even though they didn’t smile too much. 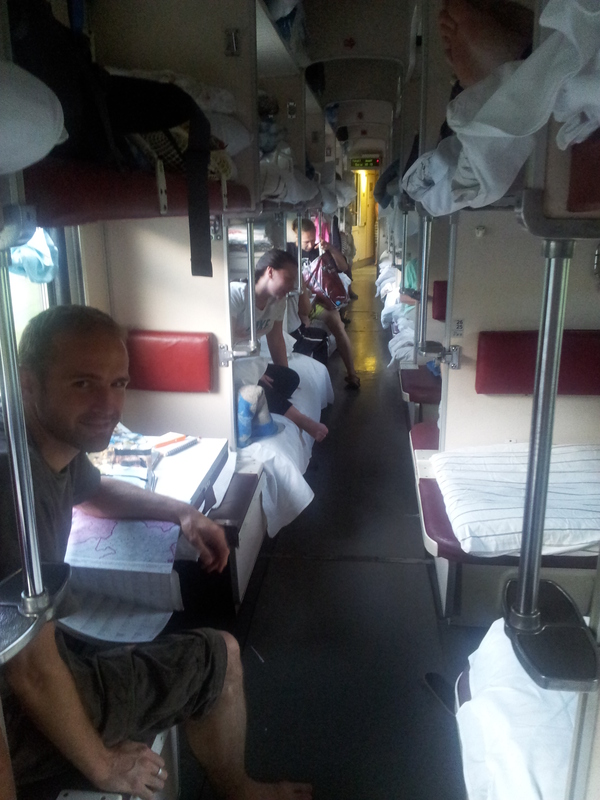 ← Brighton to Beijing Overland…part 1: a race to Moscow!